Souvenirs d’un autre monde (Memories of Another World) is the debut album by French multi-instrumentalist Neige working under the name Alcest. Apart from guest singer Audrey Sylvain, Souvenirs is a 1 man project that shows Neige casting off his black metal background to experiment with the sound of Shoegazer music. His songs follow a rigid formula, meaning that after the first couple of songs you’ll know what Alcest is all about and you can expect everything to follow on in the same vein. The core of Alcest’s sound will have you bearing witness to tidal waves of guitar distortion and Neige’s disembodied voice calling out to you as though he where a ghost. Together this gives the music a strange melancholic quality. The simplistic percussion patters away rapidly in the background of the distortion drenched music and manages to slow itself down to compliment the softer moments that are considerably shorter. 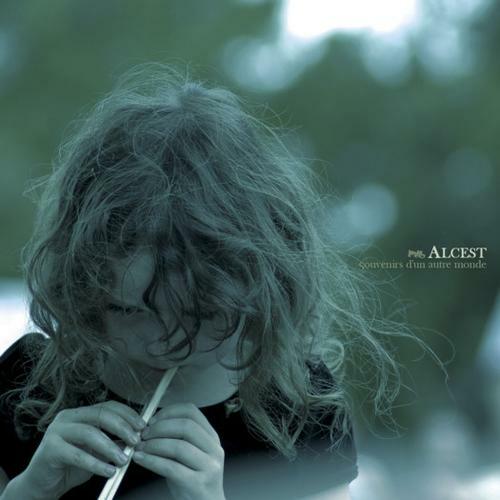 The softer moments act as interludes to relieve your ears of the oppressive pressure put on them by the distorted guitar and in doing so, Alcest almost innovates but the guitar distortion takes hold again before the interludes have a chance to take root and be explored in greater depth. Thankfully Tir Nan Og is the exception to the formula and sees that soft interlude music being transformed into a full song. Roots are taken and Alcest reveals an entirely different side to the music that flourishes beautifully when it doesn’t have to compete with the distortion. Souvenirs d’un autre monde is a consistent effort with some good ideas and a lot of vision but a diverse take on the song-writing would have carried Alcest a lot further.